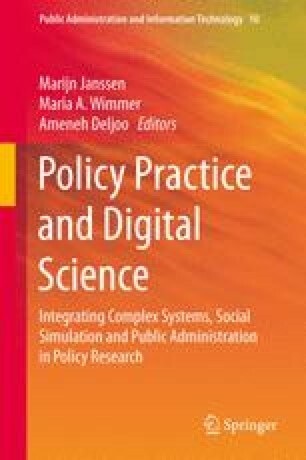 In this chapter, we discuss the implications of complexities in societal systems for management. After discussing some essential features of complex systems, we discuss the current focus of managers and management theory on prediction and the problems arising from this perspective. A short overview is given of the leadership and management literature, identifying what information is lacking concerning the management of complex systems. Next agent-based gaming, which allows for modeling a virtual and autonomous population in a computer-game setting, is introduced as a tool to explore the possibilities to manage complex systems. The chapter concludes with a research agenda for management and leadership in complex systems.